The purpose of a grease Interceptor (also known as a grease trap) is to remove grease, oils and fats (FOG) from the waste stream and bring the water to acceptable effluent standards before discharging it into a sanitary sewer. 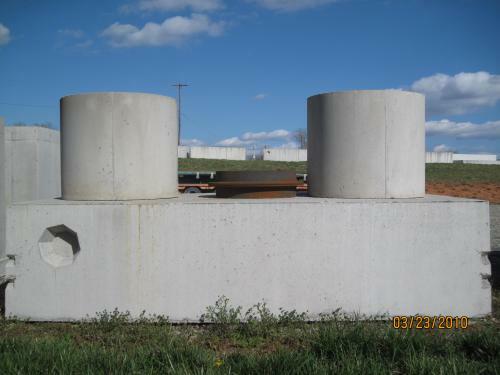 Precast concrete grease interceptors are easy to maintain and big enough to hold substantial amount of grease to allow for sufficient retention time. 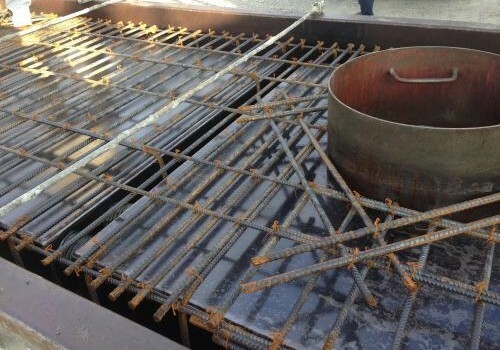 Located underground and outside the kitchen area, precast concrete grease traps provide a healthy restaurant environment. The acceptable level of FOG in wastewater shall be established by the authority with jurisdiction in your area, who will also determine the size grease interceptor required. 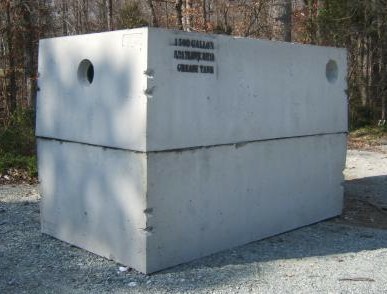 Adhering to AASHTO’s traffic rating requirements and following ASTM C1613 (Standard Specification for Precast Concrete Grease Interceptor Tanks) Shoaf Precast, Inc, located in Lexington, NC is the best choice for precast concrete grease Interceptors. Produced watertight, durable for storage and readily available on our stock yard; our dedicated and skilled team can deliver and set your product in a safe, professional and timely manner. Conveniently, we also offer traffic rated risers and iron castings for safety precautions and/or easy accessibility for pumping and cleaning. A sampling box is used to monitor flow volume and collect effluent samples discharged from a grease trap. This allows governing officials to determine the best pump/cleaning schedule suitable for the site. Our sampling boxes are made watertight and to H/20 standards; meeting or exceeding local municipal codes. 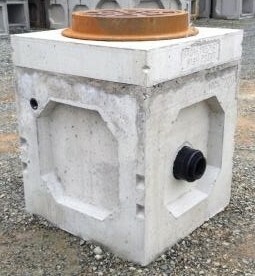 Contact a Shoaf Precast, Inc. representative to include a sampling box on your next project. 1000 Gal. 9,000 12 ft. 7 ft. 61" 47" 45"
1250 Gal. 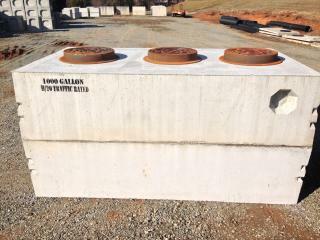 10,000 12 ft. 7 ft. 72" 61" 58"
1500 Gal. 11,200 12 ft. 7 ft. 79" 65" 63"
2100 Gal. 16,000 16 ft. 8 ft. 70" 57" 54"
2500 Gal. 22,000 16 ft. 8 ft. 83" 70" 67"
3000 Gal. 22,000 16 ft. 8 ft. 96" 84" 81"
4000 Gal. 22,000 16 ft. 8 ft. 119" 107" 104"
5000 Gal. 22,000 16 ft. 8 ft. 137" 124" 121"
*Don’t see what you’re looking for? Custom sizes available upon request. 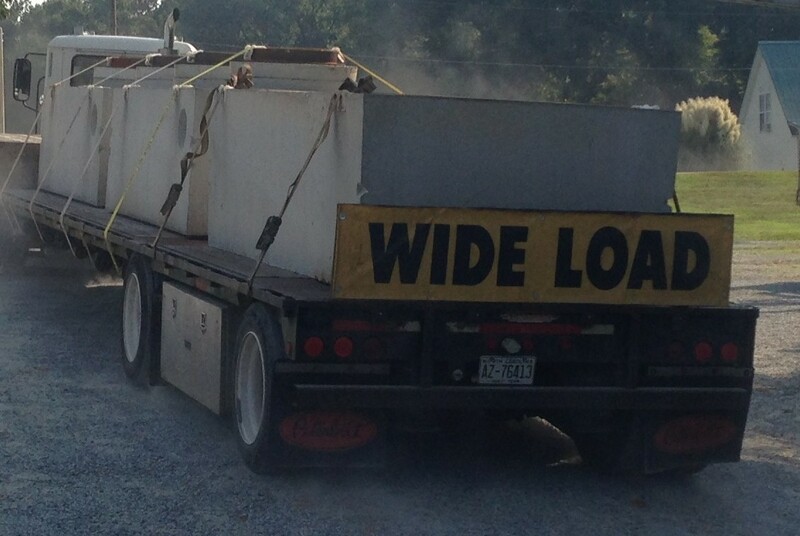 Feel free to contact a Shoaf Precast representative for additional assistance!